The holder of this voucher is entitled to take one Microsoft Certified Educator (MCE) exam at a Certiport Authorized Testing Center. Testing centers reserve the right to charge a proctoring fee. The MCE certification program represents a valid and reliable way to measure the effectiveness of your investment in ICT and professional development. Educators holding an MCE certification have the tools and skillsets to break though limitations of geography and resources, and begin to apply their knowledge to provide a customized learning experience for their students using technology. The MCE program has a single exam, the Technology Literacy for Educators (62-193) exam. The holder of this exam voucher is entitled to take one Microsoft Office Specialist exam at an authorized testing center. Testing centers reserve the right to charge a proctoring fee. 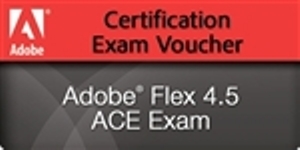 This voucher may be used for any of the MOS exam (Word, Word Expert, Excel, Excel Expert, PowerPoint, Access, Outlook, OneNote, SharePoint) in versions for Office 2010, 2013 and 2016. Vouchers are transmitted electronically via e-mail and are non-refundable. Expires 180 days after date of purchase. Please allow up to two days for processing. The holder of this exam voucher is entitled to take one Microsoft Office Specialist exam with a retake at an authorized testing center. Testing centers reserve the right to charge a proctoring fee. 2010/2013/2016 project based exam-like questions which match the exam objectives. Exam objectives based score report showing your performance in the exam. 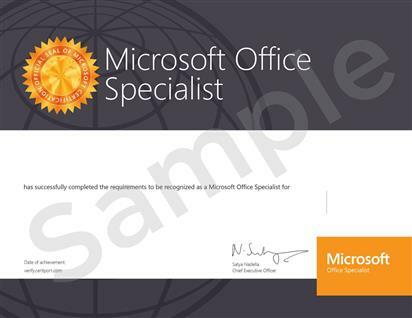 MOS Plain Exam Voucher- The holder of this exam voucher is entitled to take one Microsoft Office Specialist exam at an authorized testing center. Testing centers reserve the right to charge a proctoring fee. The holder of this voucher is entitled to take one Microsoft Technology Associate (MTA) exam at a Certiport Center (authorized testing center.) Testing centers reserve the right to charge a proctoring fee. MTA validates fundamental technology knowledge, preparing students for technology apprenticeships/internships, more advanced Microsoft technology certifications (MCTS) and provides a medium for them to explore career paths in technology. Positions students for advanced technology training, Microsoft Certified Technology Specialist (MCTS) and entry-level technology positions such as internships. Microsoft Office Specialist (MOS) 2007/2010/2013 Exam License with 500 exams (Business). Expires 365 days after date of purchase. The product expires 12 months from the date of issue. All vouchers in the bundle must be used by the same candidate.No association is made until the first voucher is used. Practice test are available for QuickBooks 2015 and 2016, Desktop versions and also the QuickBooks Online version. Retake voucher expires one month from the date it was issued. Candidate receives aa retake voucher only after failing an exam using a certification voucher from this bundle. The retake voucher may only be used by the candidate that failed the exam. The retake voucher may only be used for the exact same exam that was failed. 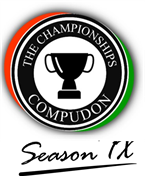 Product and certificate delivery is online. Exam voucher is transmitted electronically via e-mail and is non-refundable. Expires 365 days after date of purchase. Please allow up to two days for processing.